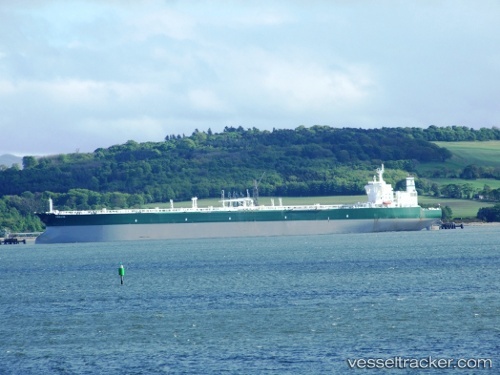 The "Abqaiq" appeared to be traveling across the Atlantic Ocean to the sanctions-embattled Venezuela either to deliver or pick up a cargo, which would be an almost unprecedented shipment between the two OPEC members. The tanker, owned by Saudi tanker company Bahri, left the Red Sea port of Yanbu on Jan 20, 2019, and stopped for a day at the bunkering hub of Algeciras on Jan 30, before sailing towards Venezuela's main crude terminal Jose where it was expected to arrive on Feb 11, more than two weeks after the US announced sweeping sanctions on Jan 27 on the Venezuelan state oil company PDVSA. Bahri tankers are exclusively used by the state-owned Saudi Aramco to transport crude and products. No Saudi-owned tanker has been tracked traveling to Venezuela in at least the last two years. Bahri meanwhile clarified that the "Abqaiq" was in ballast condition with no cargo onboard and on her way from the Red Sea to pick up a cargo from the ‎Port of Jose ‎Terminal in Venezuela for one of its regular customers in India. ‎This cargo was contracted on Jan 9, 2019, well before the U.S. sanctions were imposed against Venezuela on Jan 28. The was expected to be completed before the end of the exemption period allowed to wind-down agreements. The "Abqaiq" was hit by a rocket of Yemen’s Houthi militia in the early afternoon of Apr 3, 2018, while sailing in international waters in the Red Sea about 48 miles west-southwest of the main Yemeni port of Hodeidah (al Hudaydah). Serious damage to the tanker was averted through the intervention of a coalition warship, although the tanker took some slight damage, probably from a projectile, which did not however prevent the ship from continuing with its voyage northwards towards the Red Sea. The Saudi Energy Minister Khalid al-Falih said on Apr 3 the attack would have no impact on oil supplies. The oil operations and shipments were proceeding as normal and that oil security around oil facilities inside the kingdom had not been raised further.